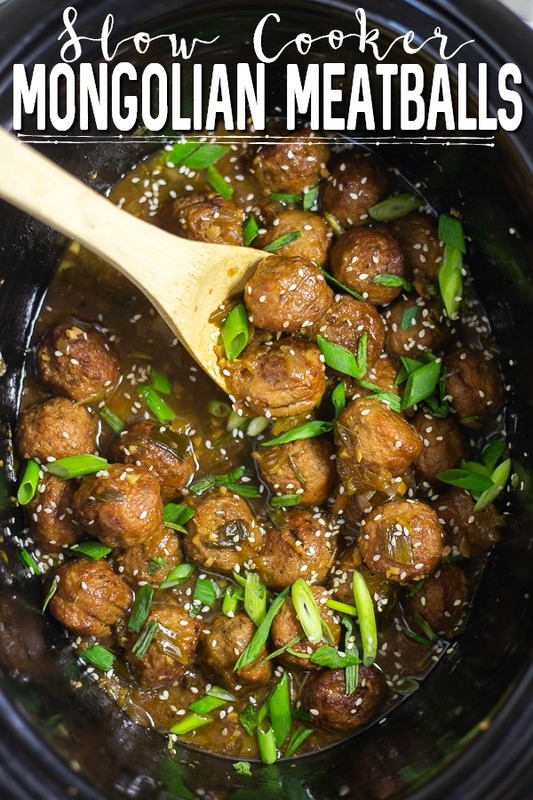 Slow Cooker Mongolian Meatballs are a super easy appetizer recipe featuring savory slow cooker meatballs in a sticky Mongolian glaze sauce. This restaurant inspired recipe is a family favorite perfect for game day food, holiday appetizers for a crowd, or even served with rice for dinner. I have been absolutely craving Asian food lately. Like every day. So good. One of my favorites to order for take-out is Mongolian beef. I know how to make it on the stove-top at home too, but it’s pretty involved so I don’t always have the time, energy, or desire to make it. 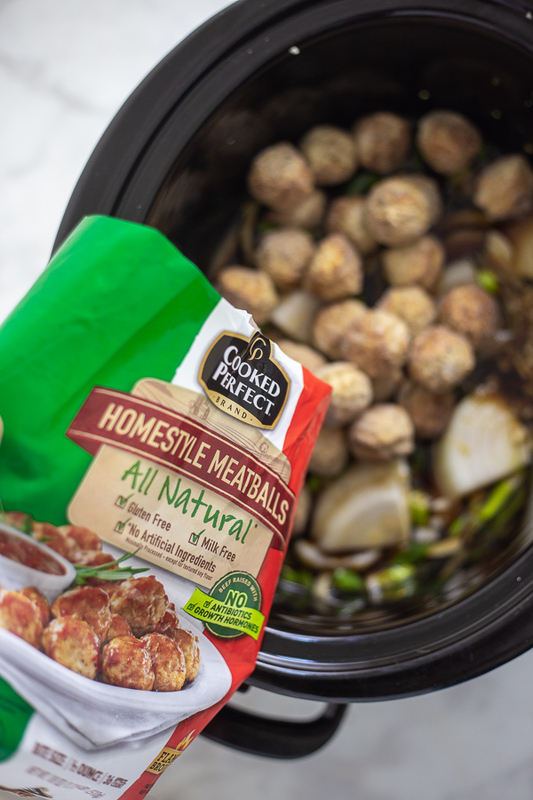 I’m really excited to partner with Cooked Perfect® Frozen Meatballs to share this simple Slow Cooker Mongolian Meatballs recipe that is an easy, delicious appetizer for entertaining (and snacking!) all year long. My whole family, and especially my kids, LOVE meatballs. The kids lovingly refer to meatballs as “magic meatballs,” and get all kinds of excited when they see me get them out. I love Cooked Perfect Frozen Meatballs, as well, because they are so easy to prepare and are made using select meats, real cheeses, and savory herbs then flame-broiled to sear in the flavor. Cooked Perfect Meatballs come in a variety of flavors, including Italian Style, Homestyle, and Angus Beef. 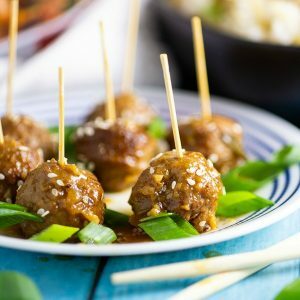 The Mongolian Meatballs recipe below calls for Cooked Perfect Homestyle Meatballs, but I think it would be really yummy with the Angus Beef meatballs, too. 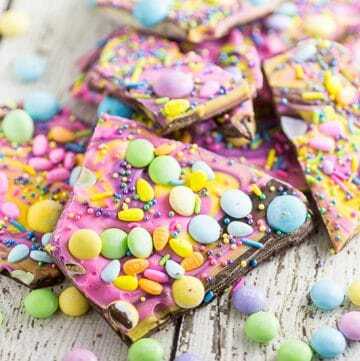 They’re also really easy to find, right in your grocer’s freezer aisle. You can find them near you at the link below. With game days and holidays fast approaching, we’ll be serving up these meatballs quite a bit. 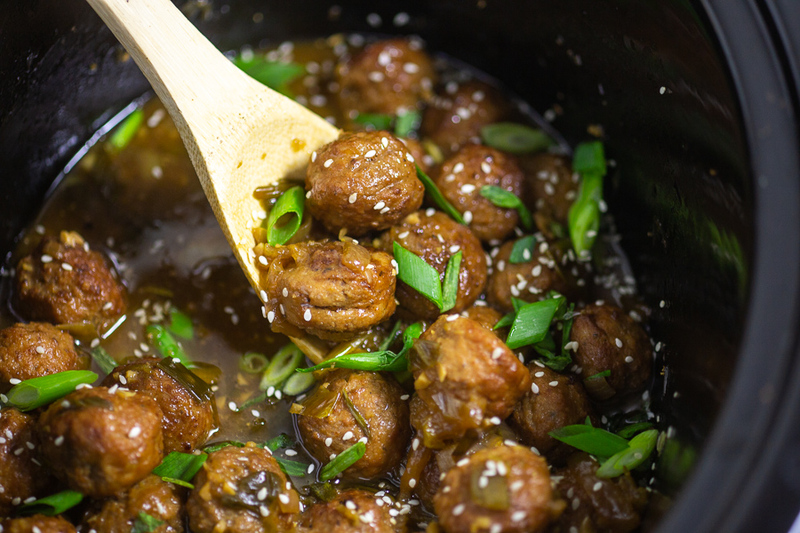 There are three things that I just LOVE about this Slow Cooker Mongolian Meatballs recipe. 1. Cooked Perfect Meatballs make the recipe so much more convenient, so you can focus on all the other aspects of entertaining (like trying to clean up the toy tornado mess your kids made this morning! AHH!). 2. Because it’s made in the slow cooker, you won’t be stuck in the kitchen prepping or watching the food. You get to join in the fun! Oh my goodness, the sauce. It is the perfect amount of tangy and sweet, just like your favorite take-out Mongolian beef. Since the meatballs slow cook in the sauce, they absorb it just enough. So. Good. 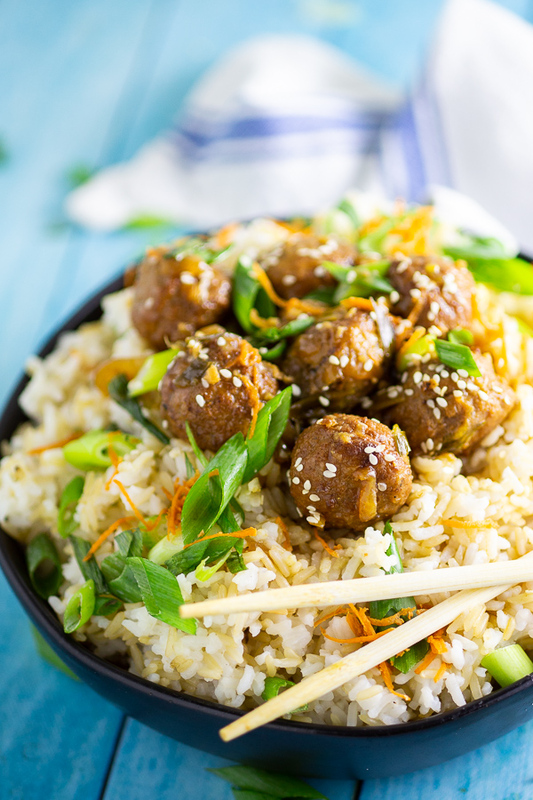 You can serve these Slow Cooker Mongolian Meatballs by leaving them right in the crock on warm (sitting in the sauce, of course!). Or you can put them on toothpicks and garnish with green onions and sesame seeds for a more elegant, and still easy, appetizer. 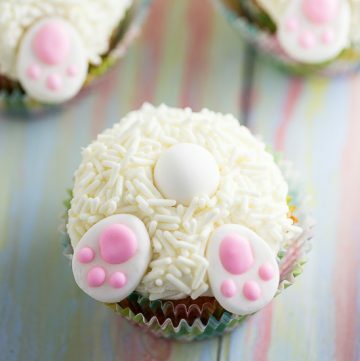 I will also be honest here and say that I have also served these with veggies over rice for dinner. Because I believe meatballs should be for all occasions! For more inspiration, Browse More Meatball recipes here! Add oil, ginger, garlic, soy, broth, and brown sugar to slow cooker. Stir to combine. 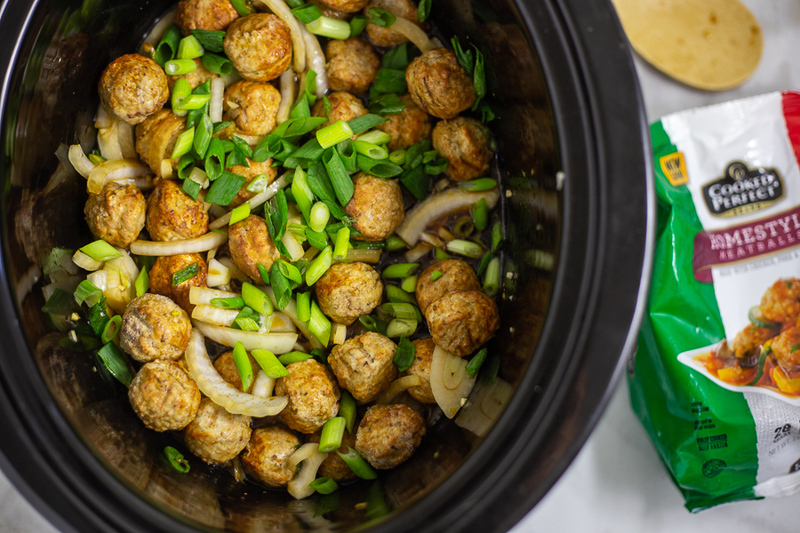 Add Cooked Perfect Homestyle Meatballs, sliced onions, and green onions, and stir again. Cover and cook on HIGH for 3-4 or low for 6-8 hours. When there's about 30 minutes left of cook time, combine 2 tablespoons cornstarch and 2 tablespoons water in a small bowl. Stir to create a cornstarch slurry. Pour cornstarch slurry into slow cooker. Stir to combine. Continue cooking. Serve warm garnished with more sliced green onions and sesame seeds. I have been absolutely craving Asian food lately. Like every day. So good. One of my favorites to order for take-out is Mongolian beef. 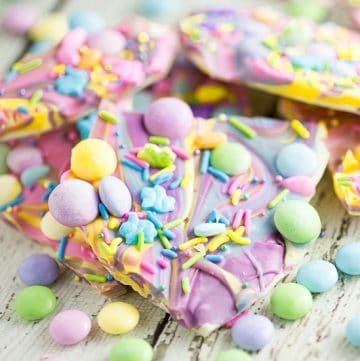 I know how to make it on the stove-top at home too, but it’s pretty involved so I don’t always have the time, energy, or desire to make it. 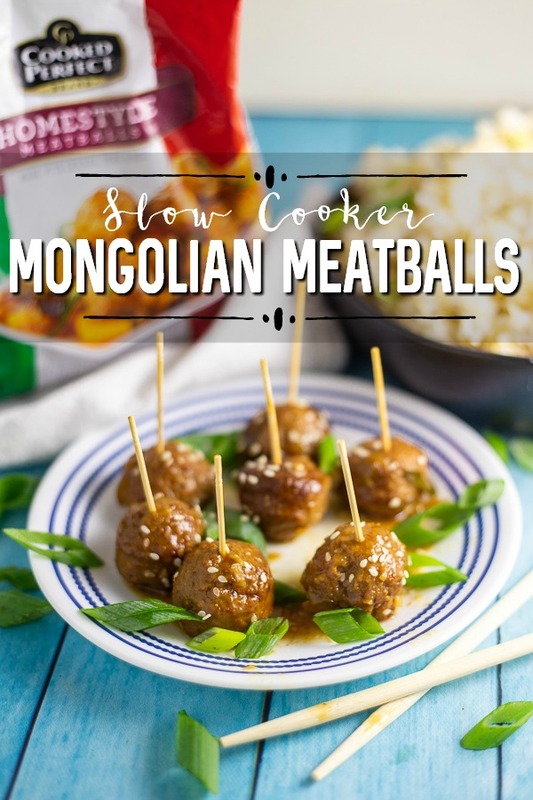 I’m really excited to partner with Cooked Perfect Meatballs to share this simple Slow Cooker Mongolian Meatballs recipe that is an easy, delicious appetizer for entertaining (and snacking!) all year long. My whole family, and especially my kids, LOVE meatballs. The kids lovingly refer to meatballs as “magic meatballs,” and get all kinds of excited when they see me get them out. I love Cooked Perfect Frozen Meatballs because they are so easy to prepare and are made using select meats, real cheeses, and savory herbs then flame-broiled to sear in the flavor. 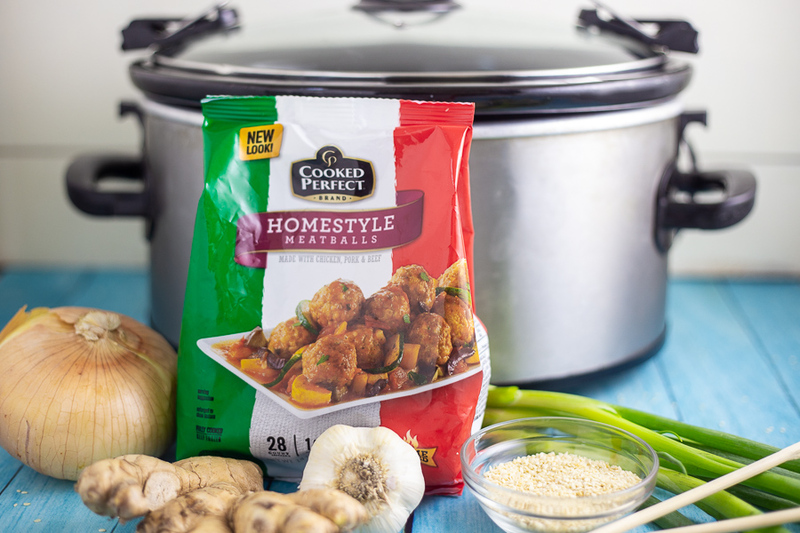 Cooked Perfect Meatballs come in a variety of flavors, including Italian Style, Homestyle, and Angus Beef. 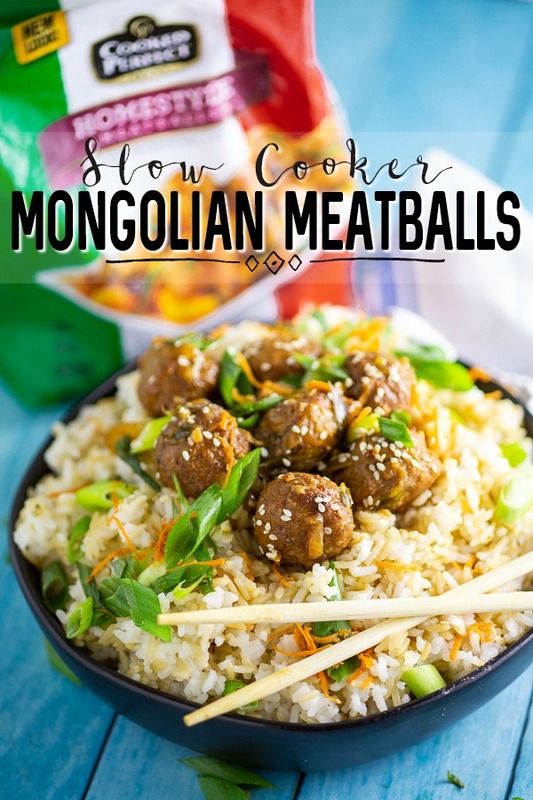 The Mongolian Meatballs recipe below calls for Cooked Perfect Homestyle Meatballs, but I think it would be really yummy with the Angus Beef meatballs, too. 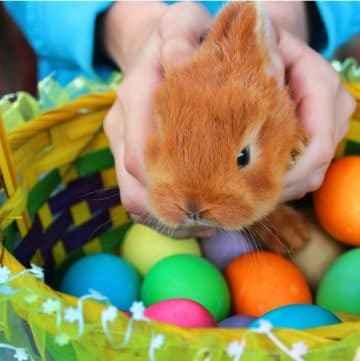 They’re also really easy to find, right in your grocer’s freezer aisle. 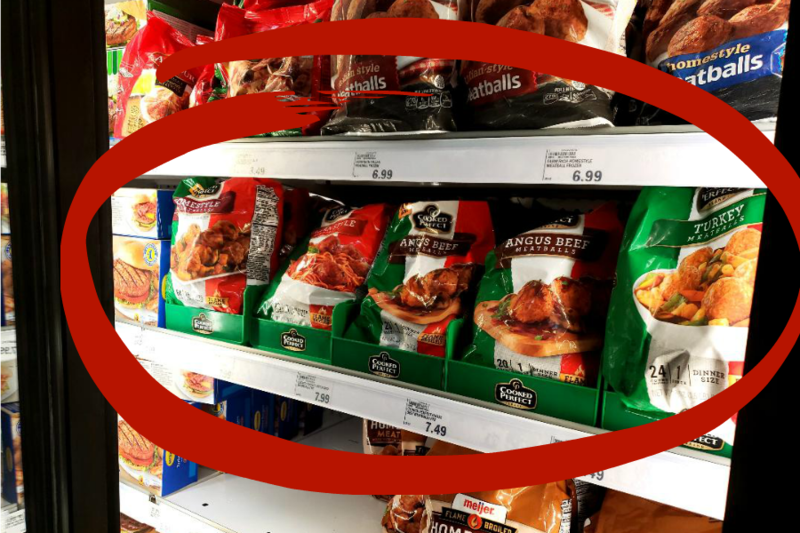 Find Cooked Perfect Meatballs near you! 1. Cooked Perfect Meatballs make the recipe so much more convenient, so you can focus on all the other aspects of entertaining (like trying to clean up the toy tornado mess your kids made this morning! AHH!). 2. Because it’s made in the slow cooker, you won’t be stuck in the kitchen prepping or watching the food. 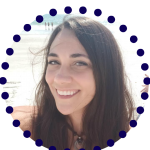 You get to join in the fun! 3. The sauce. Oh my goodness, the sauce. 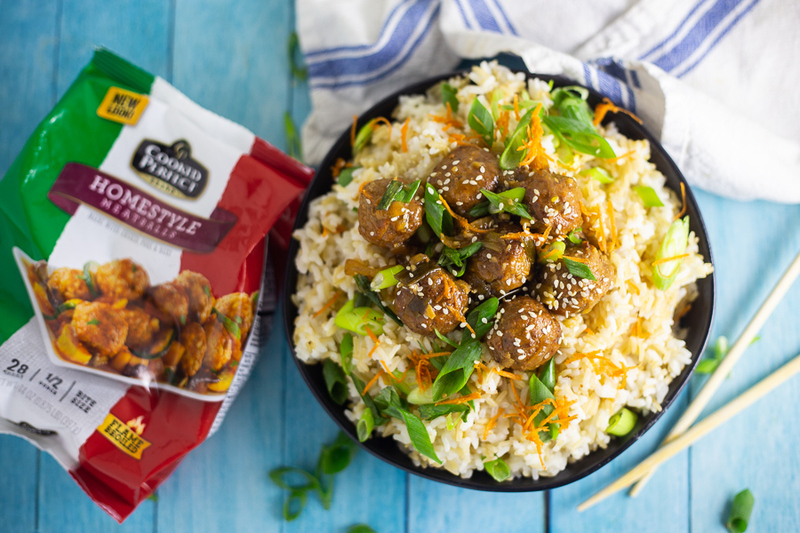 It is the perfect amount of tangy and sweet, just like your favorite take-out Mongolian beef. Since the meatballs slow cook in the sauce, they absorb it just enough. So. Good. Browse more meatball recipes for more inspiration!